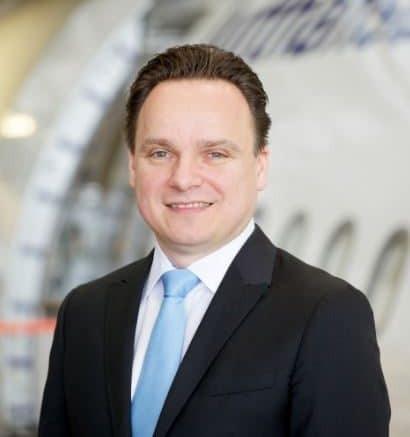 Soeren Stark, who has been appointed to the Executive Board of Lufthansa Cargo as COO. eight sites in Europe, Asia and the Americas. Soeren Stark," said Thomas Stueger, Chief Executive Products, Services & IT at Lufthansa Technik. Thomas Rueckert was latterly Vice President of the overhaul services production network, based in Hamburg. company on a temporary basis. Hungary, Puerto Rico and the Philippines. Its remit covers layovers at C-check level and above. a repair, production and development enterprise. overhaul, modification and conversion, engines and components. Be the first to comment on "Thomas Rueckert is new head of aircraft overhaul services"